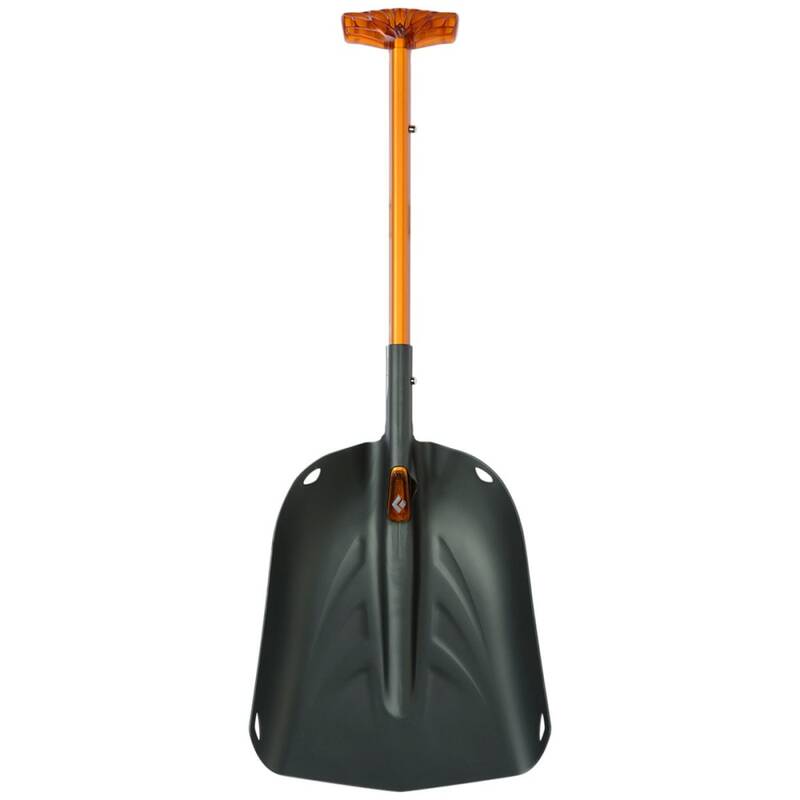 Deploy this sturdy shovel quickly for rapid emergency response. Designed with a curved, trapezoidal shaft inside the blade, it features a handle that extends and locks into place with just a single pull. Once you’re done, the handle slides back down close to the blade, giving you a compact size for storing in your pack. This product will be shipped directly from Black Diamond and will leave their warehouse in 2-3 business days. Eligible for ground shipping only. Weighs 1 lbs., 8 oz. Extends out to 26.8 in. and collapses to 18.5 in.